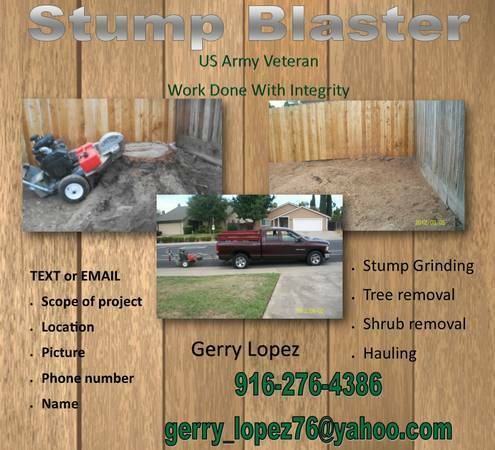 Hi Gerry here, Dependable Stump Grinding and removal, US ARMY VETERAN, WITH INTEGRITY, 100% satisfaction!!! 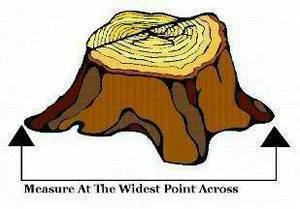 I own a beast of a grinder, that will make short work of your stumps, And nothing over $499.00 👍🙂 so I'am able to keep prices fair for all. 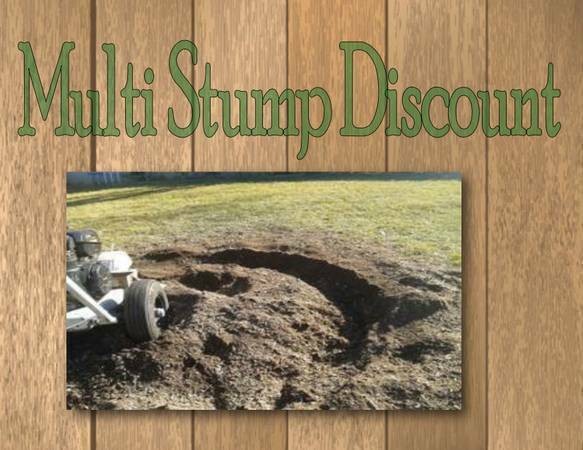 MULTI-STUMP DISCOUNT. 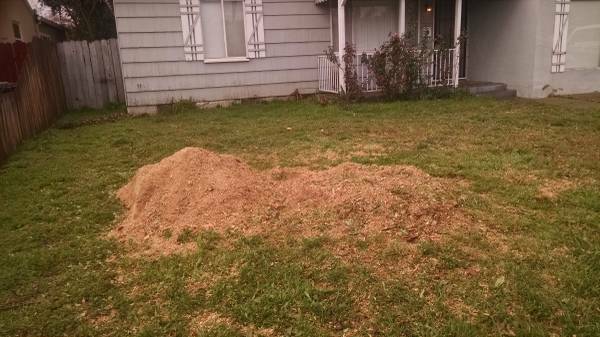 Removel of unwanted small trees, hedges and roots. 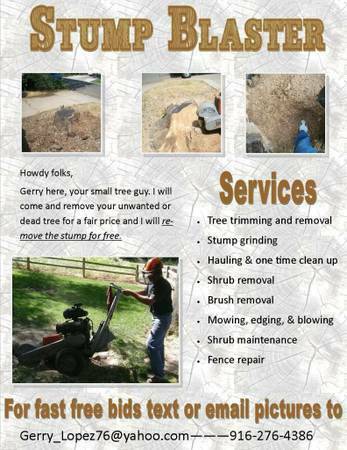 Call Gerry at (916) 276-4386 for fast services. 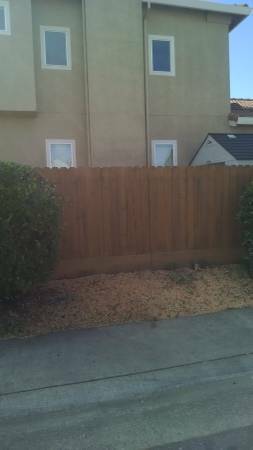 leave a message if no reply, or text your name, part of town, photos, and project information to receive your free estimate. MY WEB PAGE FOR MORE INFORMATION ABOUT ME http://gerrysstumpblasting.webs.com/ Thanks Gerry! HIRE THE VETERAN !!! 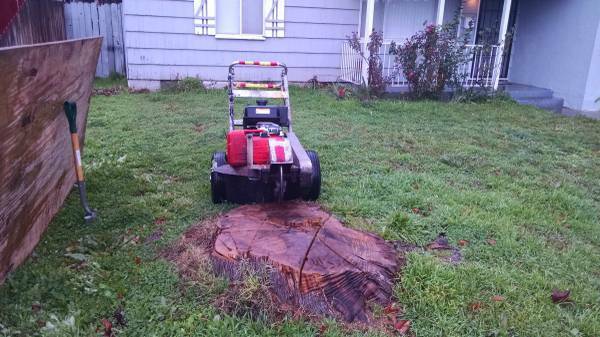 light Hauling and one time clean up. 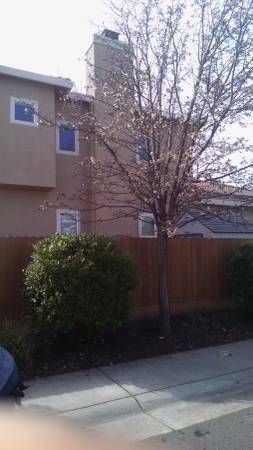 Serving: Sacramento, Elk Grove, Wilton, Folsom, El Dorado Hills, Roseville, Rocklin, Lincoln, Penryn, North Natomas, Rio Linda, Elverta, woodland, Davis, Vacaville, west Sacramento.